Every Country survives on taxes. Every person (natural or artificial) is obliged to pay tax on his taxable income or revenue. All across the world, Revenue Authorities have often been entrusted with wide powers for the sole purpose of ensuring that as much revenue is collected on the State’s behalf as is possible. In Ghana, the situation is no different. 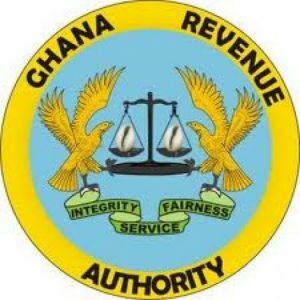 The Ghana Revenue Authority (GRA) is charged with the responsibility of collecting tax from individuals and companies. The Authority consists of the Internal Revenue Service, Customs Excise and Preventive Service and the Value Added Tax Service. “The Ghana Revenue Authority is responsible, through the Commissioner-General, for administering and giving effect to tax laws in accordance with the provisions of the Ghana Revenue Authority Act, 2009, (Act 791)”. In a similar train of thought, Section 3 of Act 791, outlines the functions of the GRA as among other things the collection of taxes for the Republic with optimum efficiency. Conventionally, every budget presented to the Parliament of Ghana projects the revenue to be collected by the GRA to support the budget. This projection of the tax, which will accrue to the State, results in the setting of collection targets for the revenue agencies. In 2017, the GRA collected Gh¢ 32.4 billion as against the target of Gh¢ 34 billion representing 97% of the projected tax. The target for the 2018 fiscal year is set at GH¢ 39 billion. In respect of this high revenue target, the GRA has adopted a colossally aggressive approach to revenue mobilization. Media reportage abounds of offices, shops and factories, which have been raided by officials of the GRA allegedly to collect information and equipment/computers in an attempt to enforce the provisions of the relevant tax regimes. In as much as the author of this paper admits the wide powers given to the GRA by the various tax laws, the aim of this paper is to remind the GRA of its superior responsibility to ensure compliance with due process and not the abuse of the rights of the taxable populace. In any other case, at all times. The power of the Commissioner-General under subsection (1) may be delegated to and exercised only by a tax officer who is specifically authorized in writing by the Commissioner–General for this purpose. Every person has the right to own property either alone or in association with others. No person shall be subjected to interference with the privacy of his home, property, correspondence or communication except in accordance with law and as may be necessary in a free and democratic society for public safety or the economic well-being of the country, for the protection of health or morals, for the prevention of disorder or crime or for the protection of the rights or freedoms of others. With these two provisions in contradistinction to each other, it is safe to assume that the provision made under Section 33 of Act 915 is so wide as to accommodate abuse of an individual’s right to privacy by officers of the GRA. It is perhaps, for this reason that the framers of Section 33 of Act 915 were sure to include the caveat that the power to have full and free access to business premises and private homes without prior notice is exercisable by the Commissioner-General alone or by any tax officer specifically authorized in writing by the Commissioner-General for this purpose. “(1) A possessor of any premises, place, document or asset to which an authorised tax officer seeks or obtains access under Section 33 may request the tax officer to produce the authorisation for the access. (2) Where a tax officer fails to comply with a request under subsection (1), the possessor may refuse the tax officer access or require the tax officer to leave the premises or place or return the documents or assets to which the tax officer has obtained access”. In the same vein, if a tax officer exercises the powers reserved for the Commissioner General under section 33 of Act 915 without any authority in writing, any step taken by the officer, including seizing of assets and documents, subsequent to this breach of due process, stands to be declared as a nullity by any court of competent jurisdiction. the tax officer shall apply to a magistrate for an order authorising that tax officer to take any of the actions set out in subsection (2). use reasonable force for the purpose of the preceding paragraphs including by way of breaking into a premises, place or asset that may reasonably contain evidence referred to in paragraph (a). Unlike section 33, any officer of the GRA can invoke section 88. Whereas Section 88 can be invoked upon an application to a Magistrate, section 33 can be invoked without the assistance of a court. On the application of the provisions of section 88, where an officer of the GRA seeks to enter a premises or place to search and/or seize any document or asset without a prior order of a magistrate, that officer shall be deemed to be acting ultra vires and any action subsequent to that ultra vires action shall be declared a nullity by a court of competent jurisdiction. There has been much talk about the nationwide exercise by the Customs Division to arrest and seize vehicles of which the requisite import taxes have not been paid. The author of this paper is of the opinion that the Customs Act, 2015 (Act 891) does not in any way give the Customs Division the right to seize vehicles that are not prohibited in the country, for non-payment of the requisite import duties after the vehicle has been registered by the Driver Vehicle Licensing Authority (DVLA). This assertion is backed by the provisions of Customs Act. A vehicle licensing authority established under an enactment shall not register a motor vehicle unless the applicant produces to the vehicle licensing authority the customs entry and other related customs documents. The Commissioner-General shall issue a Certificate of Payment of Duties and any other document as specified by the Commissioner-General to a person who purchases a motor vehicle at an auction sale under the Act, for the purpose of registration of that motor vehicle. Subject to the provisions of this Act, the Commissioner-General shall seize a prohibited motor vehicle imported into the country and the motor vehicle shall be forfeited to the state. Under Section 58 therefore, the power to seize a motor vehicle arises only when the vehicle is a prohibited vehicle, which, is defined as a right-handed vehicle. Where goods are forfeited or become liable to forfeiture under this Act, a person who is involved in the act or omission that renders the goods forfeited or liable to forfeiture shall incur the penalty provided by law in respect of the act or omission or, where no penalty is provided shall incur a penalty in a sum equal to two hundred percent the duty payable on the goods seized or forfeited. From the above provisions, it will be safe to conclude that neither the Commissioner General nor his officers have no power to seize vehicles which have been registered by the DVLA for non-payment of duty because the law presumes that the GRA through its officers whose presence is mandatory for the registration of vehicles, has confirmed that all due duties are paid. It would, therefore, be unconscionable and against the interest of justice to permit the GRA to switch sides and start alleging that the duties required in respect of the vehicle are unpaid. The Ghana Revenue Authority is a statutory establishment whose actions and decisions are subject to judicial review by the High Court of Ghana. Where a person alleges that a provision of this Constitution on the fundamental human rights and freedoms has been, or is being or is likely to be contravened in relation to him, then, without prejudice to any other action that is lawfully available, that person may apply to the High Court for redress. The High Court may, under clause (1) of this article, issue such directions or orders or writs including rites or orders in the nature of herbs as corpus, certiorari, mandamus, prohibition, and quo warranto as it may consider appropriate for the purposes of enforcing or securing the enforcement of any of the provisions on the fundamental human rights and freedoms to the protection of which the person concerned is entitled .Order 55 Rule 1(a) of the High Court (Civil Procedure) Rules, 2004 (C.I. 47) also provides for the means by which an applicant can invoke the review jurisdiction of the High Court as enshrined in the 1992 constitution. I must add that the application for judicial review is not an appeal against a decision or action of the GRA or any officer of it. An application for judicial review shall be to question the procedure and processes adopted by the GRA in its work. In other words, judicial review does not deal with the merits of the decision but the means of arriving at that decision or action. Hence, if an officer breaches any of the provisions recited above, that action could be susceptible to be set aside by means of a judicial review. My final words to the GRA are that it ought to ensure the utmost respect and obedience to the law in the performance of their statutory provisions. A default in following the laid down rules and procedures in the various tax regimes puts any decision or action of GRA at risk of being declared a nullity by a High Court upon an application by an affected person. If due processes are not followed, the GRA will end up a “Don Quixote”, in pursuit of nothing. 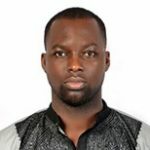 The Writer is the Lead Consultant with Robert Smith & Adelaide Law, a boutique law firm based in Accra and assists with the teaching of Civil Procedure at the Ghana School of Law, Makola Campus-Accra. He is also a member of the Chartered Institute of Arbitrators.